Below is an article originally written by Craig Ewer at PowerToFly Partner Uber, and published on October 30, 2017. Go to Uber's page on PowerToFly to see their open positions and learn more. At Uber, we believe that technology is for everyone — whether you're a student in a Philadelphia Public School or someone looking for a new career later in life. That's why today we're excited to launch 8-80 Coding, a new initiative to support technology education for people of all ages in Philadelphia. Beginning this month, we're working with three of the region's top nonprofits to expand coding education for kids and adults. From our rec centers to our tech centers, we want Philadelphians to have access to the work opportunities generated by tech education, but also to experience the personal satisfaction and fun of building something new. 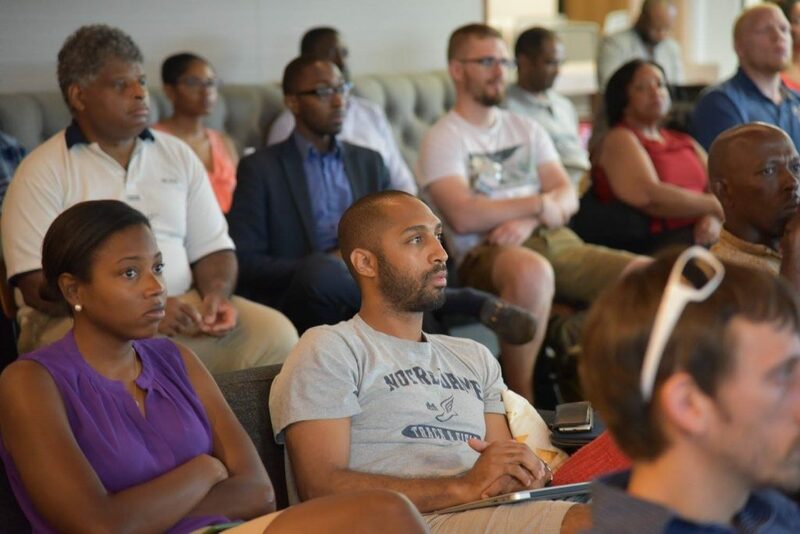 In the process, we hope to expand the pipeline of people historically underrepresented in technology and make Philadelphia's tech community more reflective of our community as a whole. "I'm excited that a global company as big as Uber understands the value of providing free coding programs in Philadelphia. Tech education is crucial, not only for our schoolchildren, who will receive some of this training, but for also for adults seeking new skills and jobs. There are many tech jobs for which you don't need a college degree, but you do need the right training. Uber and the great local nonprofits with whom the company is teamed will have tremendous success in promoting diversity in coding and tech education and ultimately job growth. I look forward to helping out any way I can to make this a great project for Philadelphia." The ITEM advocates for better inclusion in the tech industry as a way to reduce systemic inequality, and, with our support, they have established a new scholarship program for continuing adult education. Through the end of 2017, four Uber Scholars will complete a course on Amazon Web Services, a highly valued certification for employers in today's competitive job market. These scholars will also be eligible for mentoring opportunities with members of Uber's engineering team. "The ITEM's mission vis-a-vis the students of our academy is simple: Trained. Certified. Hired. Uber's support of our students being trained and certified as AWS Solutions Architect Associates is a major boost to our vision of all Philadelphians accessing our emerging technology sector." Coded by Kids offers free tech education for children ages 5-18, primarily through in-school and extracurricular coding projects. As part of 8-80 Coding, we're supporting Coded by Kid's yearlong coding class at the Academy at Palumbo public high school in South Philadelphia, where students will learn the basics of web development (HTML, CSS, etc.) and complete a project for their web portfolios. "We are excited to work with Uber to ensure Philadelphia's pipeline of tech talent is diverse and well prepared to compete in the innovation economy. Uber knows that jobs are becoming increasingly more technical and skilled, and by investing in a Pathways into Tech program they are making a commitment to provide more students with the opportunity to get those technical skills." Finally, we're supporting TechGirlz, whose mission is "to inspire middle school girls to explore the possibilities of technology to empower their future careers." 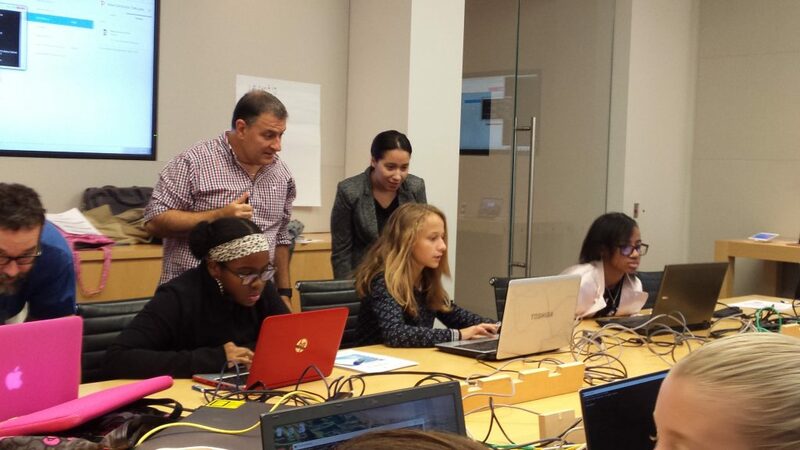 Through a series of workshops and special events, TechGirlz is helping create the next generation of female coders and working to close the gender gap in technology. "We are excited to be part of the 8-80 Coding program and by Uber's support of our mission to inspire girls on the path to empowered careers in technology. Uber's innovative roots and renewed commitment to positive change make it a great partner in championing our new model for women in technology." These three initiatives are only the beginning. With our partners, we're ready to make a difference in Philadelphia and continue building a future that is more diverse and more inclusive. Below is an article originally written by PowerToFly hiring partner 33 Across, and published on May 11, 2018. Go to 33 Across' page on PowerToFly to learn more. I work from home 90% of the time. Sometimes I'll work out of a coffee shop. I like to be able to tune out sound and distractions when I work so I use noise canceling headphones. Depending on what I'm building, I like to be able to listen to either classical or techno music. I've noticed that if I am in an early stages of conceptualizing the problem I tend to listen to slow classical music. But when I have the solution figured out and am implementing it, I switch to high-paced techno music. In both scenarios, I like to work uninterrupted. The main reason can be explained by this comic. I think we should not only focus on women but on all minorities and it has to start early – I am talking primary school. How can you be interested in something you don't know anything about? I recently gave a talk at a middle school where I told kids about what developers do and told them that there are lots of ways one can become a developer. Kids have some idea of what teachers, doctors, lawyers and bankers do. But the tech industry is still a pandora's box to many of them. I don't have one favorite way of spending a weekend. But you can usually find me doing the following in any given month on a weekend: sketching and painting with watercolors, hiking, or going to a botanical garden. I like visiting Harry Potter World and Jurassic World at Universal Studios. I also enjoy barbecuing, baking and of course binge watching TV shows. I'm currently watching The Expanse, Killing Eve, and WestWorld. Sarah Eggers balances a marketing job, tech side hustle, and family life in Kansas City, MO. Five years ago, she discovered Skillcrush and rekindled her love of tech, culminating in a web design side hustle that she runs alongside her day job in writing and marketing. She told her story to Haele Wolfe. Despite living frugally, my partner and I bear considerable financial responsibility between student debt, a mortgage, and the general expenses of life. When I wanted to bring in some extra cash without changing careers, I decided to try out a side hustle and began consulting for social media marketing. I added tech skills to my repertoire, and three years later, those tech skills have become my main side hustle, eclipsing my social media consulting! Coding has made a huge difference—not just financially—but in my whole perception of my career. And most incredibly, my extracurricular work as a developer helped me accomplish an enormous personal goal: I started a family. I've always been interested in tech because I love being able to customize things. When I was ten or eleven I would build HTML tables in Tripod (these were the pre-Myspace days) just for fun—there's just something about being able to make text glittery that really speaks to me. As I grew up I also cultivated a love of languages and literature (and hello, what is coding if not just more languages?) and ended up majoring in English before landing a job in marketing. I dug into coding as an adult because I wanted to be able to design my own blog theme for a WordPress page I was running. Pursuing coding courses was about feeding my lifelong love of learning, and after a lot of research, I signed up for a web design course to familiarize myself with HTML and CSS so that I could have a foundation of knowledge before taking a WordPress course. My tech side hustle grew organically after I completed the courses and was putting my new skills to work on my blog. Friends and family members found out that I knew how to customize pages and started asking me to help them with their own. And, I threw up a page about my new tech skills on my site and see if any work came in. Freelancing as a developer on the side gives me balance in my professional life that I didn't realize I could have. In my day job, I often have year-long projects or goals, and it's hard to feel progress and to stay excited when I'm doing incremental work over a longer period of time—even though I love the work. Web development offers me that boost of completing projects in a few hours, days, or weeks—and that is so satisfying! I complete the work, get to see the client happy, cash my paycheck, and then move on to the next thing. Completing these cycles on different projects is completely motivating for me. Another beautiful thing about freelance tech work is that I can totally say no to clients I'm not interested in. Choosing to work two jobs instead of going full-time freelance made the most sense for me, and having the ability to pick my freelance clients without the pressure of that work being my only way to pay bills keeps things fresh and fun. As a result, all the work that I do on the side is work that I'm truly excited about, and I only work for clients with whom I really connect. Just a few weeks ago, I got to share some wildly exciting side hustle news with the Skillcrush alumni community: After a few years of freelancing as a web developer, my partner and I were able to adopt a child and start our family! I'd began freelancing in web development sort of by accident—I'd simply wanted to learn, and then the clients started coming. Once I saw the potential financial benefits of further monetizing the side work I was doing, I dove in and was able put away a significant amount of savings towards our adoption. My daughter is clearly the most costly and most worthwhile expense that my tech skills helped me afford, and having a second career that brought in money to pay for the adoption meant that our family was able to grow much sooner than my partner and I had initially thought. My advice to others who are looking to learn something new or who want to try tech skills as a career path is to jump in. If you're even a little curious about what tech skills can do for you, just start! Even if you don't want to ditch your job (I see you out there, fellow education lovers!) you never know what kinds of benefits new skills will add to your life. For me, the extra income, fun of adding to my skill toolbox, and variation of projects in my work life, has expanded my career— and life—in ways I didn't know were possible. For many, a coding bootcamp can be the perfect opportunity to switch to a tech career. 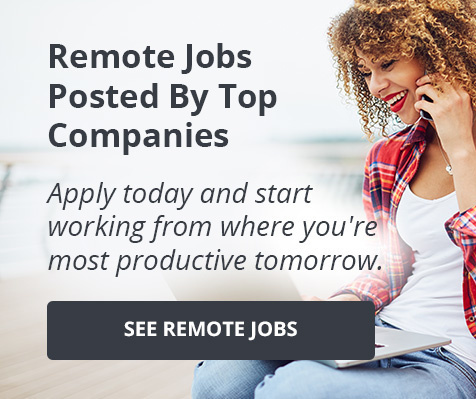 These programs can be offline or online, part-time or full-time, and generally require far less time and investment that a four-year degree. If you think a coding bootcamp could be a great fit for your career goals, you're probably wondering how to get started.. What do you look for when trying to choose a bootcamp? How do you know if it's the right fit? No matter the focus, the core components that make the best programs stand-out from the rest are consistent. To make things easier, we've compiled a list of the most important things to consider when comparing coding bootcamp programs.